I previously mentioned Priscilla Claman's terrific post on "How to Avoid Impossible Assignments." 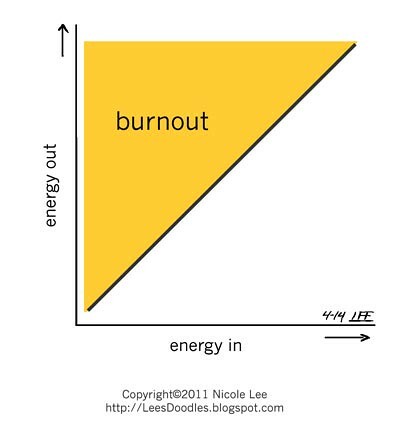 Burnout occurs when you expend more internal resources and energy than you take in. It's not just a matter of working hard, which at the best of times can feel exciting and motivating. Burnout is exhausting — whether you are working hard or not. It reminds me of a previous post titled "Relax" which also talks about the importance of filling one's own tank.